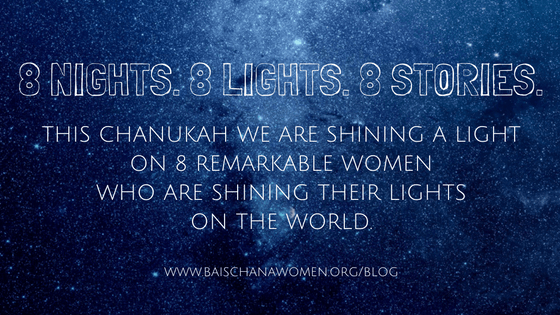 This Chanukah we are shining a light on 8 remarkable women who are shining their lights on the world. You can think of it as a Chanukah story for each night. Read their stories. Listen to their nuggets of wisdom. And find out what inspires these women to keep brightening the world.